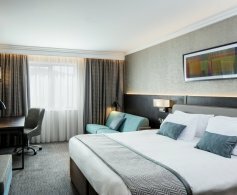 Our 120 luxurious bedrooms offer a selection of double rooms with King-size beds and twin rooms with Queen-size beds, in addition to four luxurious double suites. 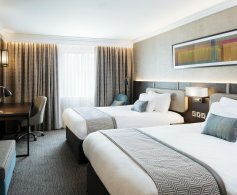 As our guest, you'll have free Wi-Fi, free car parking and have full use of our onsite health club. 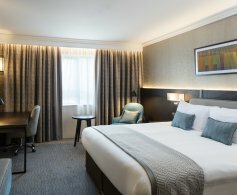 Enjoy our range of in-room amenities including flatscreen TV, mini fridge, safe ironing board and Room Service menu. 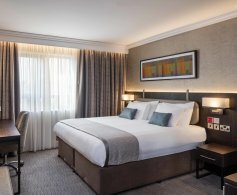 Plus with our comfortable beds, premium bedding and aromatherapy kits and wake up call as part of our Sleep Advantage programme, you'll be sure to have a great night's sleep. 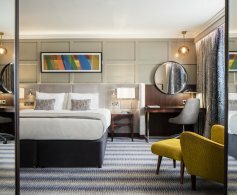 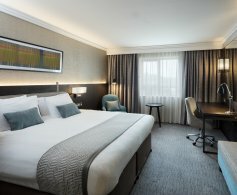 This refurbishment will see 33 new bedrooms added, all existing bedrooms upgraded and new Executive Club Rooms have been completed, with a floor exclusively for IHG Rewards Club Members.